Why travel the world? I’ve put together this short list of reasons why I think you should do your best to see as much of our beautiful planet as possible. 1. We are not guaranteed old age. It’s only in recent times that people are coming around to the idea that you don’t have to wait until you’re ‘a responsible adult’ to travel far and wide. We are not promised to live to an old age to be able to tell stories to younger generations. Young people now are taking more time out and travelling further, which is great. I’m now in my mid-thirties (which I don’t see as being very old), but I prefer to buy experiences, instead of objects. If you have a destination in mind, go there, even if it’s not right away, start planning a course of action that will lead to you getting there. 2. It will create meaningful relationships. 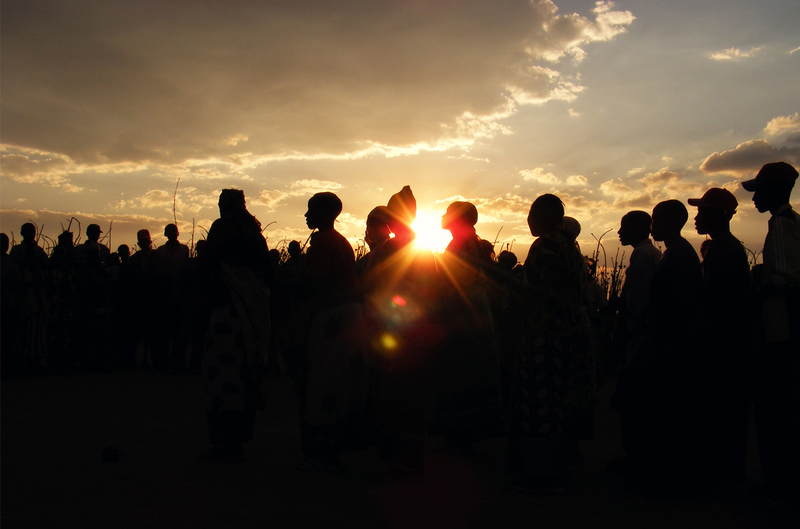 I will never forget the last sunset on a volunteering trip to Singida, Tanzania in Sept/Oct 2008. At the volunteer camp in a small remote village called Mughumbu, 3hours drive from the market town of Singida, the local choir and villagers had come to sing and say goodbye to us. It was my last day as a volunteer in the village before I went travelling for 8days, I had been in the village for 4weeks previous and had made some close friends with other volunteers as well as some of the locals. The last trip I went on to Africa, over Christmas and New Year 2014/15 with Tucan Travel, I made some great friends who were doing the same overland trip as myself and also made friends with locals. This is one of the most rewarding things about travel. Below is my favourite photo, which I took of the choir singing on my last night as a volunteer in Singida and was the starting point of my photographic passion. 3. Say goodbye to your comfort zone. I have to admit, I’m a big user of Facebook & Instagram, but going place where there are little or no internet or phone reception is a great thing. It gives you time to enjoy and take-in all that is going on around you. Everyone should go on a camping/overland trip at least once in their lives, it really is a rewarding experience. You get to learn new things, from camping skills (proper camping), to how to communicate with other cultures that may not speak English, this can also be very fun and funny. Food is another thing, you’ll amaze yourself just how much food you eat back home, may not be available all the time but you’ll have alternatives and they are usually healthier for you, which is great. Also, the satisfaction of pushing yourself to reach the top of that mountain, crossing a gorge, sleeping in a hammock in a jungle, ordering something in a rural restaurant in China, all things that feel great to accomplish. You will however, find a different kind of comfort on your travels, especially when you are sitting on the edge of a river with your feet up and enjoying a nice cold beer, like my friend Adam in the photo below. This image was taken on the shore of the Etosha National Park lake/pan. Amazing sunsets in Africa. When at home and doing regular, everyday things, time seems to fly by. I think this is due to the fact we don’t think about many of things we normally do. How many times have you driven to work without really paying attention the the journey? It’s done nearly every day, it’s boring and mundane. When you travel to another part of the world, your mind is working harder than ever, but it doesn’t seem that way because you are enjoying the new sights and experiences. The mind is a very powerful thing, and when I am away from home, I can honestly say, the time does seem to slow down. New experiences and adventures make us more knowledgable and better people. I will never forget climbing to the top of Dune 45 to watch the sunrise at 5am on Christmas morning (2014) over the towering sand dunes of the Namib Desert. This will always be with me, as will countless other fantastic experiences while on my last 19 day tour of the southern half of Africa with Tucan Travel. I hope you have gotten some inspiration to get up and travel from this short blog. If you have, I would love to follow your journey or hear about your trip. You can contact me via Instagram, Facebook or my website. Thank you for reading and safe travels. 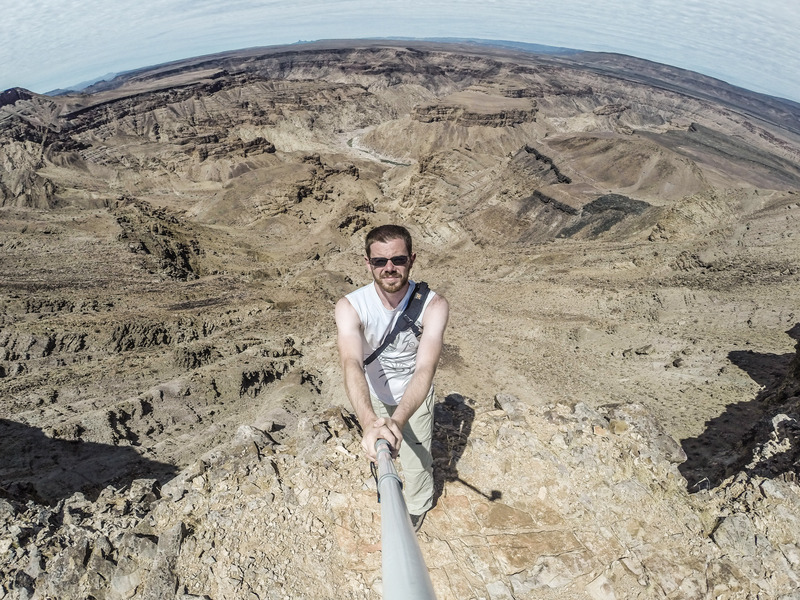 The world isn’t so big, go see it!! !